Chesnee, SC: Vernie Wyatt Swofford, 88, of Chesnee died Wednesday, January 16, 2019 at Spartanburg Regional Hospice Home. 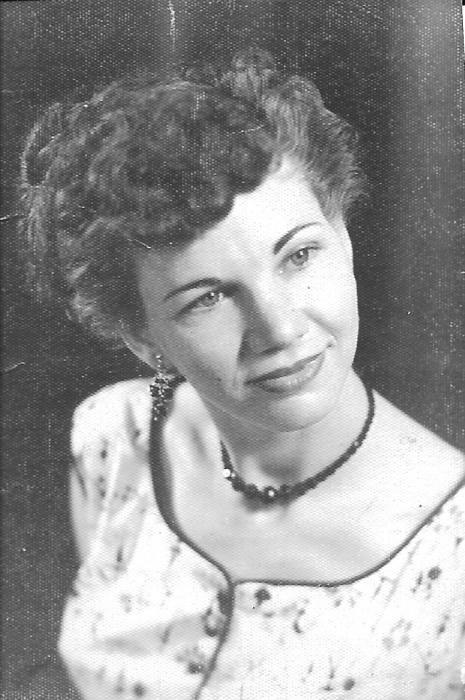 Mrs. Swofford was married to the late Thomas L. "Tommy" Swofford and was the daughter of the late Boyd A. and Thelma Godfrey Wyatt. Mrs. Swofford was the first female shift supervisor for Reeves Brothers, Inc. of Chesnee. She was a lifelong member of Orchard Street Baptist Church of Mayo where she was the oldest living member. She was a sweet and humble person, a loving wife, mother, grandmother, great-grandmother, mother-in-law, daughter, sister and a trusted friend. She will be missed by many. Survivors include two daughters, Marsha Gibson and her husband James, and Gloria Davis and her husband Scott; four grandchildren, Tommy Cobb, Adam Cobb, Dennis Davis and Shea Faulkner; five great-grandchildren, Carrington Owensby, Ian Faulkner, Caroline Faulkner, Alexxis Davis, and Dawn Davis; three sisters, Ruth Epley, Sadie Horn and Peggy Pearcy; three brothers, Lonnie Wyatt, Reggie Wyatt, and Ricky Wyatt; many nieces, nephews, cousins and friends and her dog Honey. She was predeceased by brothers J. B. and Sam Wyatt, a sister, Barbara Ann Wyatt, a great-grandson, Cameron Cobb and her dog Fifi. Visitation will be 11 am-12 noon Monday, January 21, 2019, with the service immediately following, at Orchard Street Baptist Church, 1281 Double Branch Rd., Cowpens, SC officiated by Rev. Allen Blanton and Rev. Rowland Dry. Interment will follow in Springhill Memorial Gardens. Flowers will be accepted or memorials may be made to Spartanburg Regional Hospice Home, 686 Jeff Davis Drive, Spartanburg, SC 29303 in Mrs. Swofford's memory; Orchard Street Baptist Church, PO Box 219, Mayo, SC 29368; or to the charity of one's choice. The family would like to thank the doctors and staff of the Regional Hospice Home for their love and care. Condolences may be expressed at www.bobofuneralchapel.com.